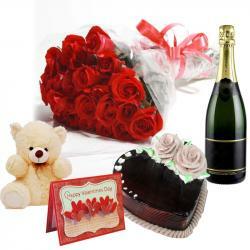 Product Consist : 50 Red Roses Heart Shape Arrangement with Lots of Seasonal Filers along with 6 inch Cute Teddy Bear. 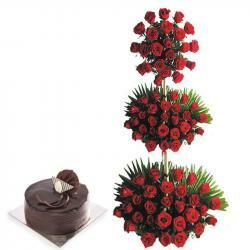 Make your better half feels love with this Red Roses Basket. 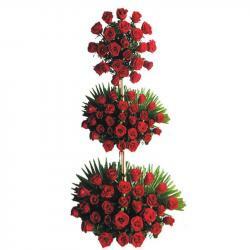 It comprises of fifty red roses, arranged in the shape of a round in the basket. It looks pristine particularly because the freshness of roses. It will certainly convey your love to your soul mate like no other. Add some more adoreness with the cute teddy bear which make your special person happy and feel to smile every time. You can also send the gift to him/her, even if you are not there to celebrate together. It is also a good choice for Valentine s Day and birthdays. 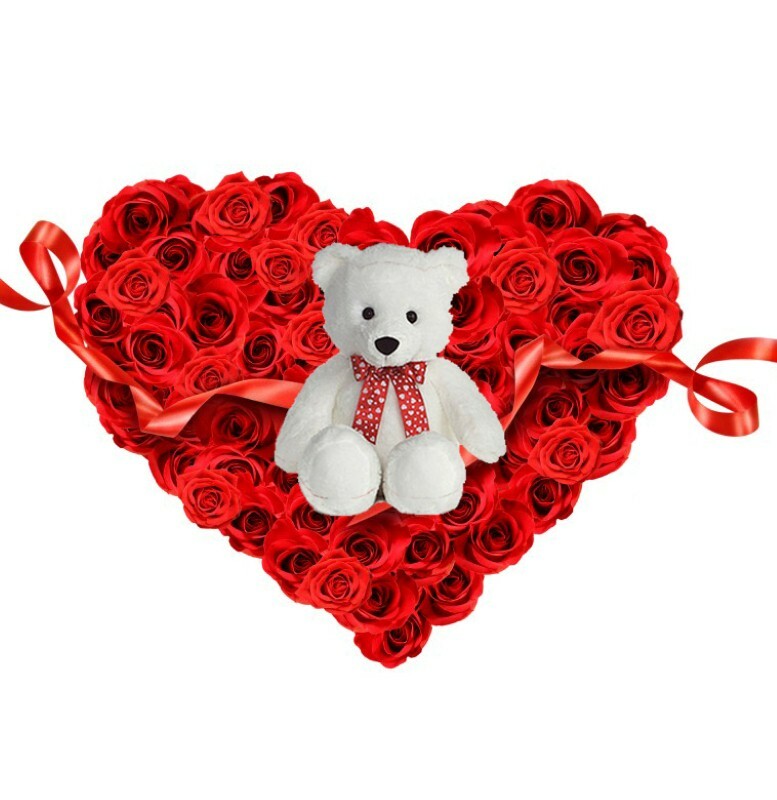 Product Includes : 50 Red Roses Heart Shape Arrangement with Lots of Seasonal Filers along with 6 inch Cute Teddy Bear.